Black Friday offers a huge amount of temptation each year. 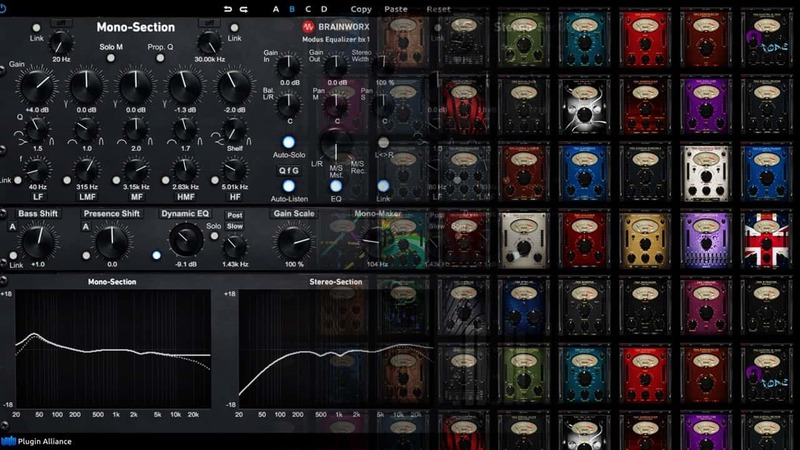 Musicians, with their affliction of GAS (Gear Acquisition Syndrome), are therefore tempted with even more toys of gear, plugins, and sample libraries. My two favourite purchases below, as you will see, show that I went large and splashed the cash this year. It’s really satisfying not to have spent a lot of money on something I love using. The bx_digital V3 was a joy to use straight off with very little learning curve first time when mastering a track. 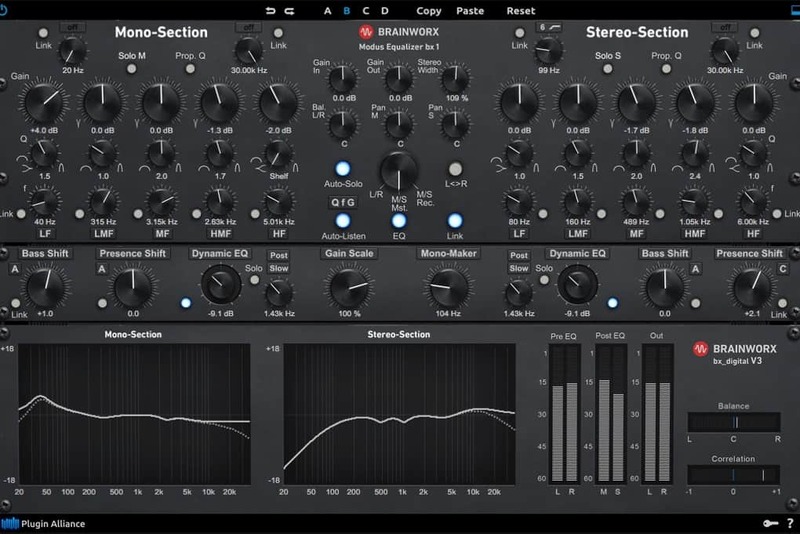 A lovely sounding M/S EQ with an intuitive GUI. I love how it is arranged with mono (centre) controls on the left, and stereo (side) on the right. Also, the convenience that each setting can be linked quickly with the link buttons. The Stereo Width setting, in the middle of the top section, is very pleasing for some subtle enhancement. The Dynamic EQs in the middle unit are quick and easy to set with a nice result. The Mono-Maker can also be very handy for phase issues in the bass by making everything below the chosen frequency. What a fantastic collection of little toys! 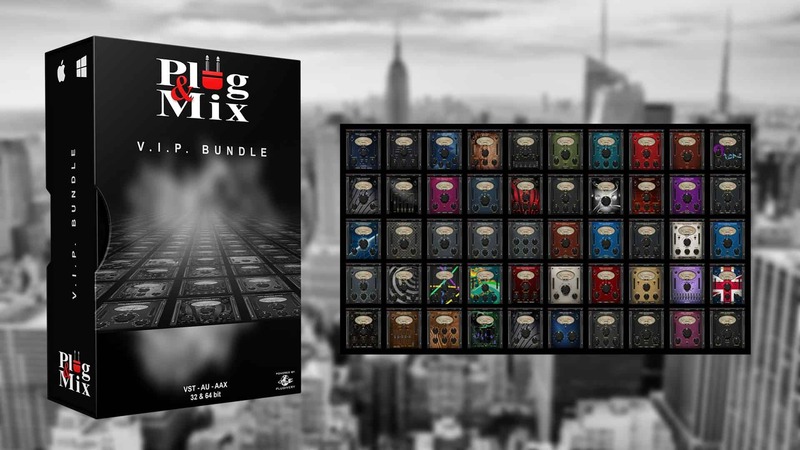 There are some real gems in the Plug & Mix VIP Bundle of 50 plugins and, like using SoundToys for mixing, I know I’m going to have my favourites that will be used time and time again. I love how quick the result can be by chucking one or more of these effects onto a track, tweak a bit, and you’re done. They look great too and use the similar UI layout throughout the range. Ones that I’ve used and liked so far are Analoger, British Tone, California Tone, Degradiator, Dimension 3D, Lo-Fi and Multi-Tap Delay. What did you buy this Black Friday and how much do you like it? Did you break the bank or go “cost effective”?